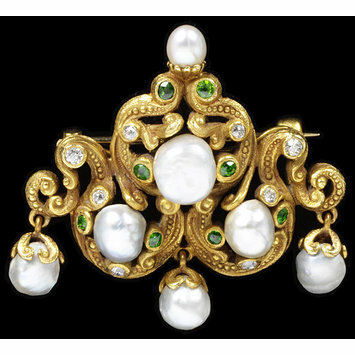 The scrolling lines of this brooch combine historical, rococo elements with the sinuous curves of Art Nouveau. 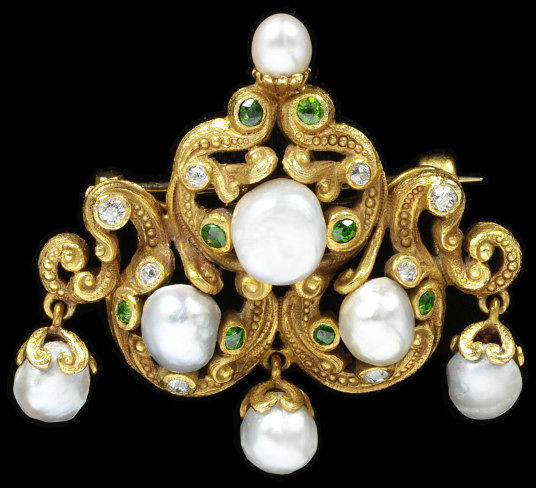 Such a combination may have been especially well received in America, where many did not react favourably to Art Nouveau’s wilder statements: In 1901 the Jewellers’ Circular and Horological Review commented that some pieces of Art Nouveau jewellery were perhaps ‘more fitted for the case of the collector than for wear…’. The American market did appreciate the use of vibrantly coloured gemstones, like these demantoid garnets. Gems sourced from the United States itself were particularly popular. 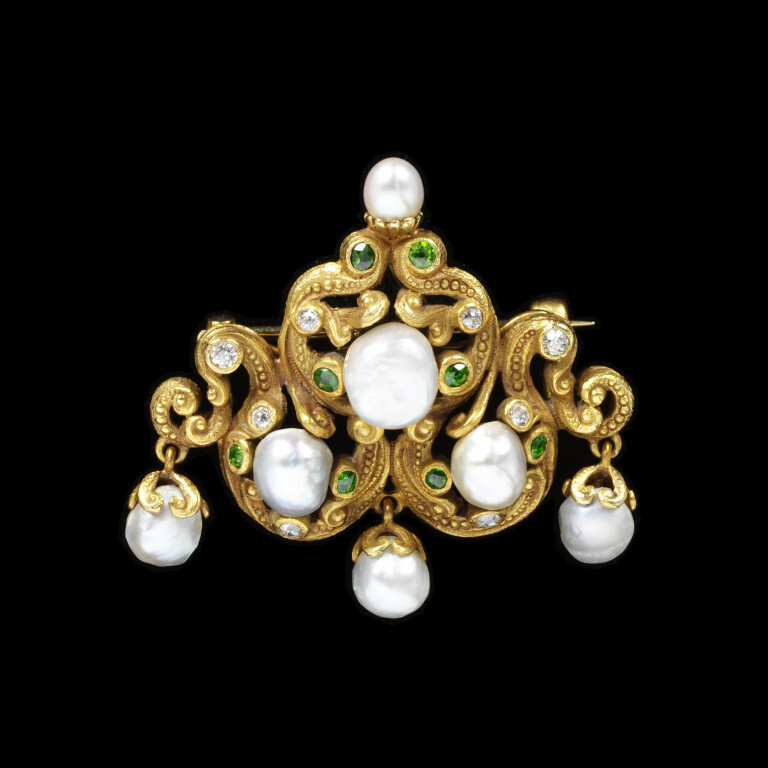 Brooch of gold set with freshwater pearls, diamonds and demantoid garnets, made in the USA, about 1900.